Here is an article that was posted on November 28, 2013, that is still appropriate today. Happy Thanksgiving! Is happy capitalized when used with a holiday? If you exclaim “Happy Thanksgiving!” then it is, but if you use it in a regular sentence “I wish you all a happy Thanksgiving,” then it is not. Generally, the seasons of the year are not capitalized unless it is part of a proper name. This winter seems to be colder than normal. The Phoenix College Spring Semester 2014 will begin in January. HOWEVER: The fall semester is nearly over. The official holiday name wins out over plurals and possessives, so you may just have to look it up to be positive you are correct. 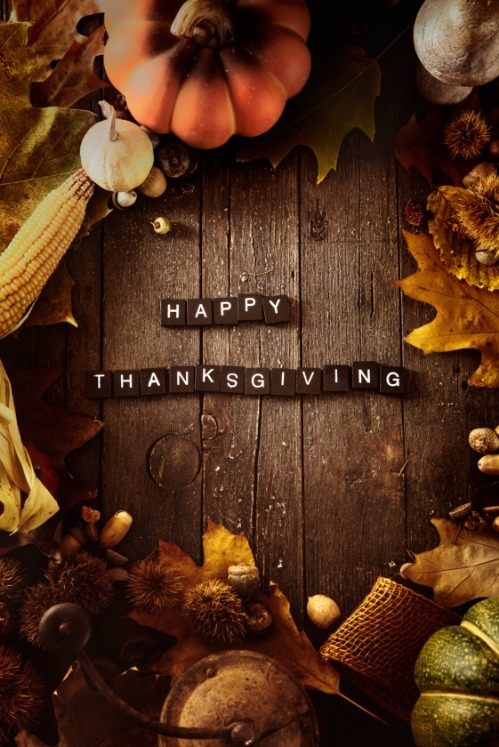 I wish you all a happy Thanksgiving and know that when I count my blessings, the people who read my blog faithfully, those who stumble across it, and those who cheer me on are near the top of my list. Thank you!